Pathos footpockets are designed to provide top comfort, perfect feeling, great stability and the lowest weight. They are made of pure latex that is vulcanized in Pathos factory in Greece, by specially designed rubber injection machines. Pathos in respect to the environment uses only A class recycled or/and recyclable materials. 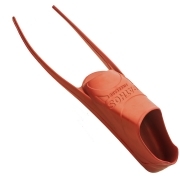 This footpocket is made by three different mixtures of pure latex in order to be soft on toes and heel, medium on the side nerves to allow the blade move freely and hard on metatarsals and the bottom of the foot for stability. Every footpocket passes multiple checks prior to stocking and shipping world wide. 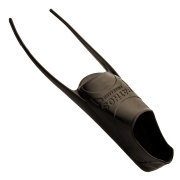 All carbon blades can be installed easily with the minimum effort with a few drops of superglue. Pathos footpockets are available with Hard nerves for the blade to use mainly its tip or Soft nerves to allow the blade to move all along its length. Available also in blue, purple, brown, green and red colors. Well done! You have been successfully registered to our newsletter! Oh snap! Please enter a valid email and try submitting again.